Introducing a straight-on version of the popular Sidekick. 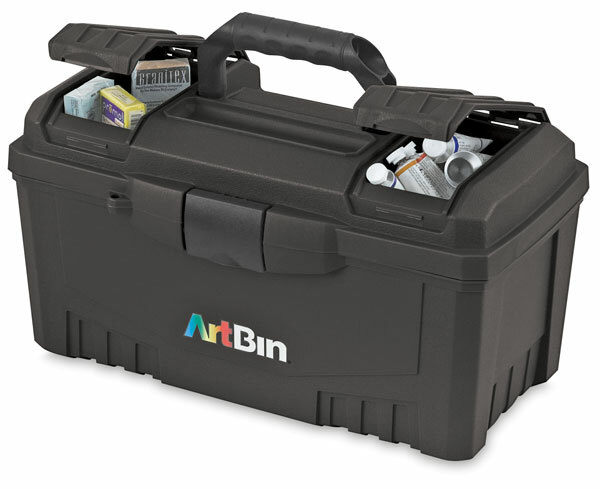 This durable, full-size storage box holds a multitude of supplies. It features dual compartments with flip-top lids for additional items and a lift-out tray for smaller supplies. The rubber handle provides a comfortable grip. These durable and secure storage boxes are a great way to organize and tote your materials. They are perfect for artists on the go!